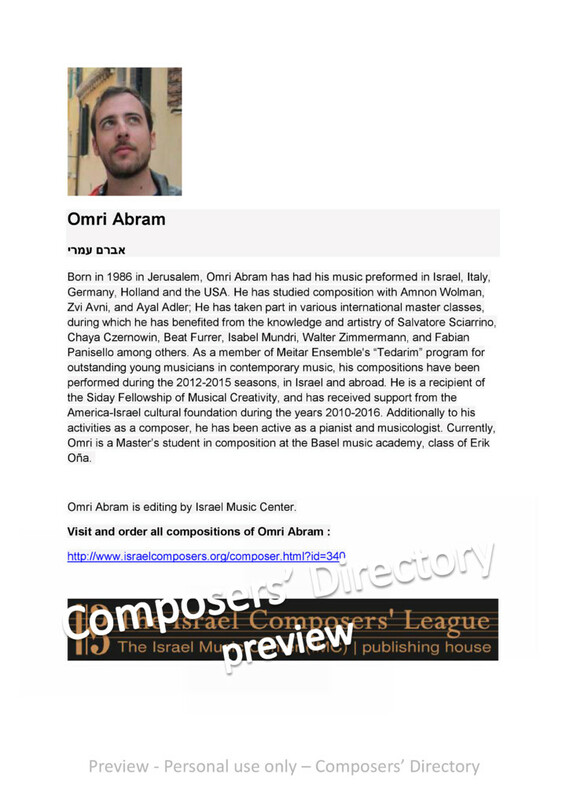 Born 1986 Jerusalem, Omri Abram music preformed Israel, Italy, Germany, Holland USA. studied composition with Amnon Wolman, Avni, Ayal Adler; taken part various international master classes, during which benefited from knowledge artistry Salvatore Sciarrino, Chaya Czernowin, Beat Furrer, Isabel Mundri, Walter Zimmermann, Fabian Panisello among others. 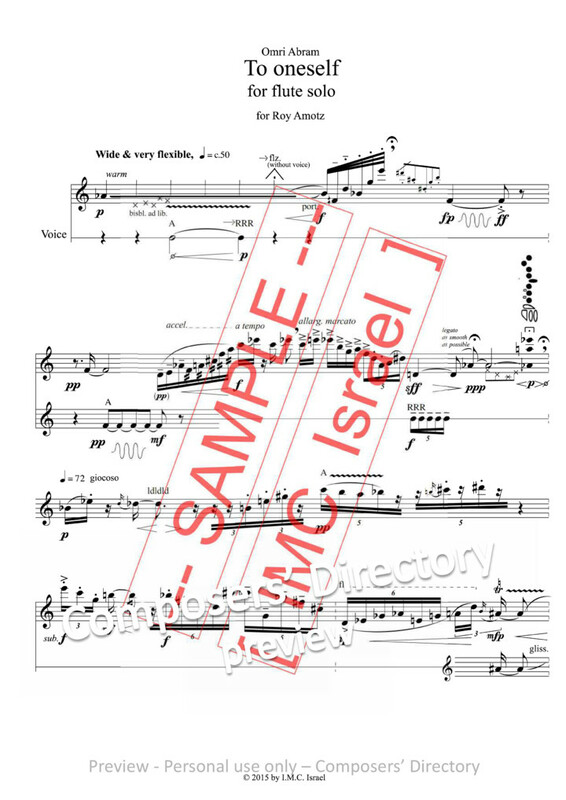 member Meitar Ensemble's “Tedarim” program outstanding young musicians contemporary music, compositions have been performed during 2012-2015 seasons, Israel abroad. recipient Siday Fellowship Musical Creativity, received support from America-Israel cultural foundation during years 2010-2016. Additionally activities composer, been active pianist musicologist. Currently, Omri Master’s student composition Basel music academy, class Erik Oña. Omri Abram editing Israel Music Center.